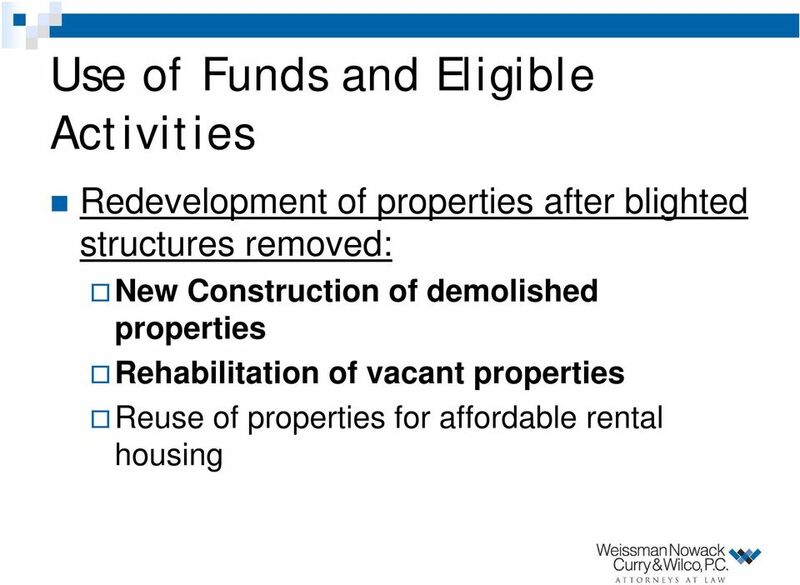 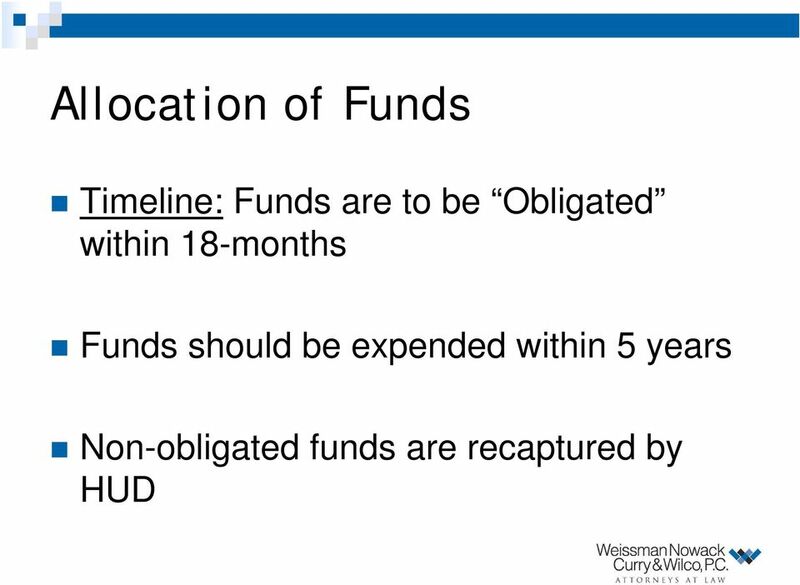 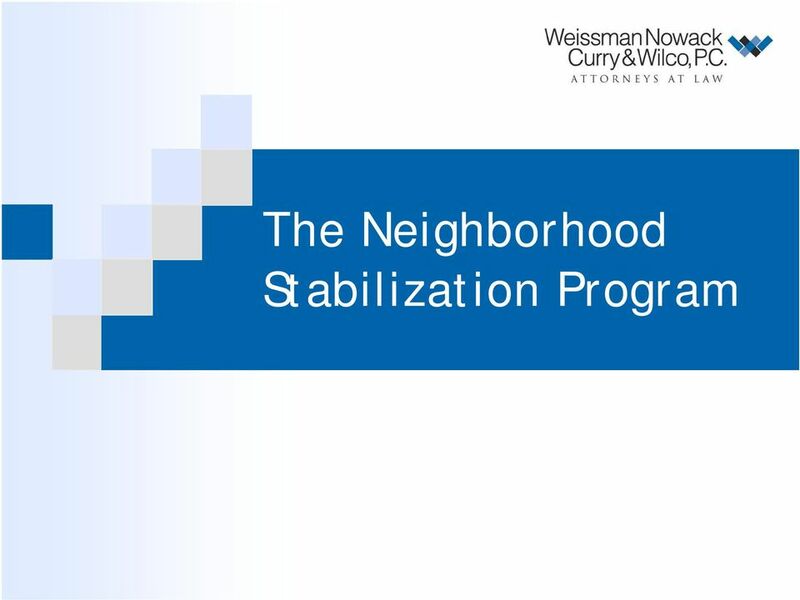 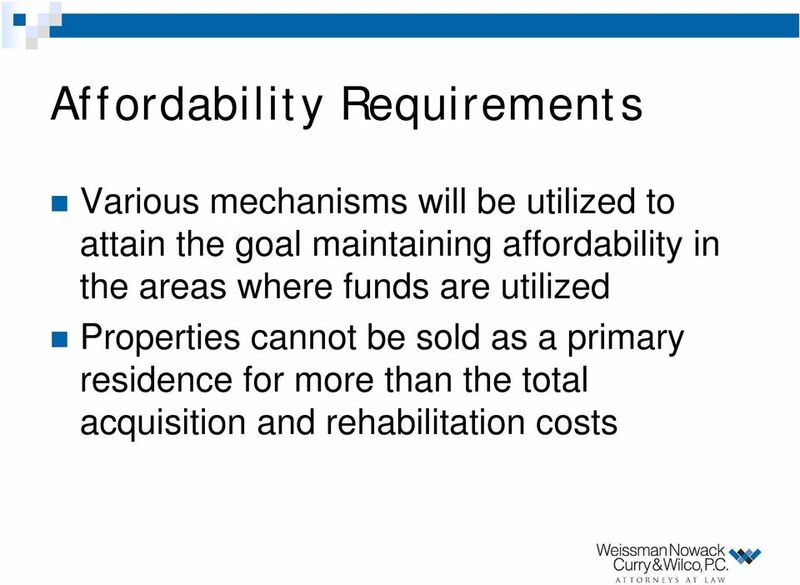 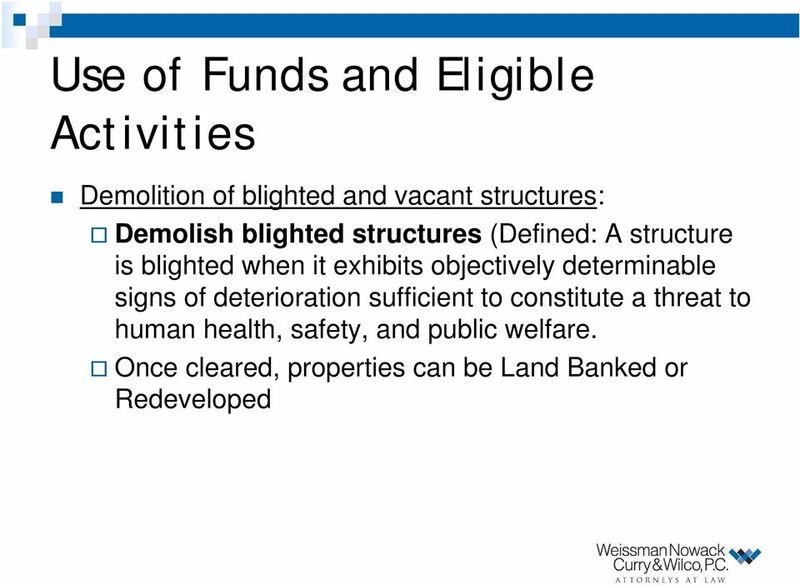 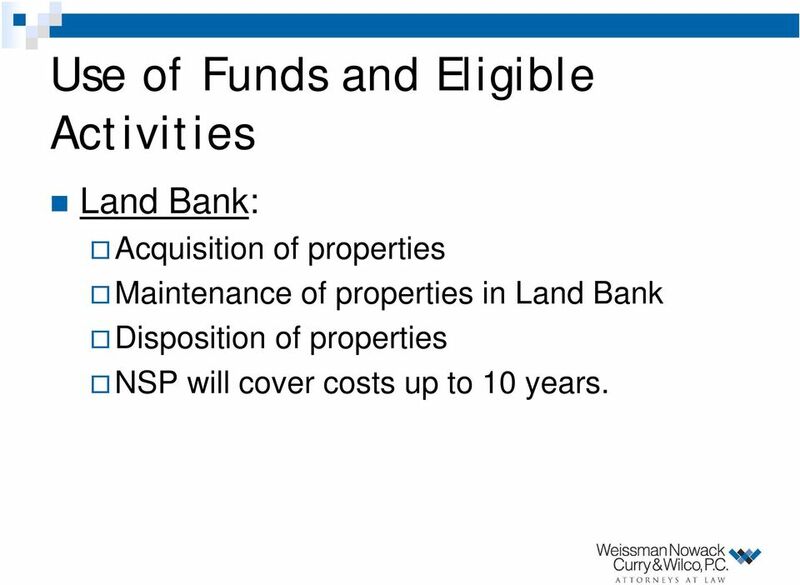 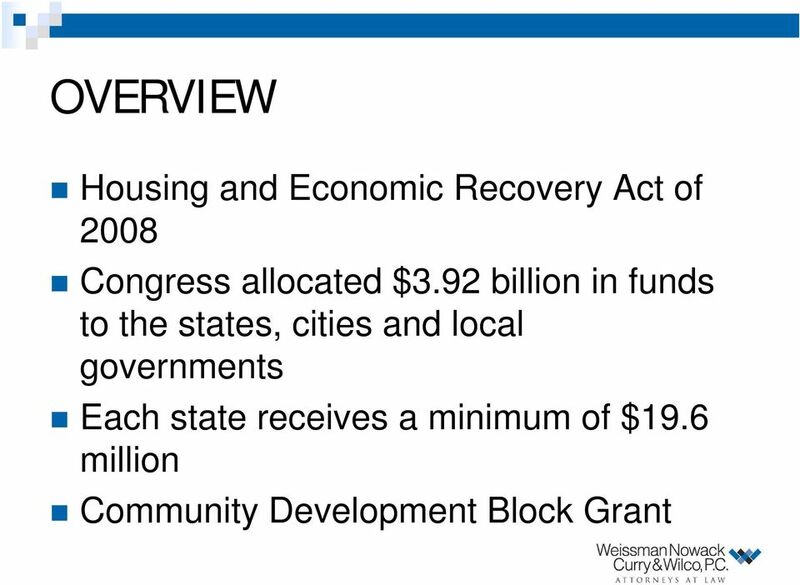 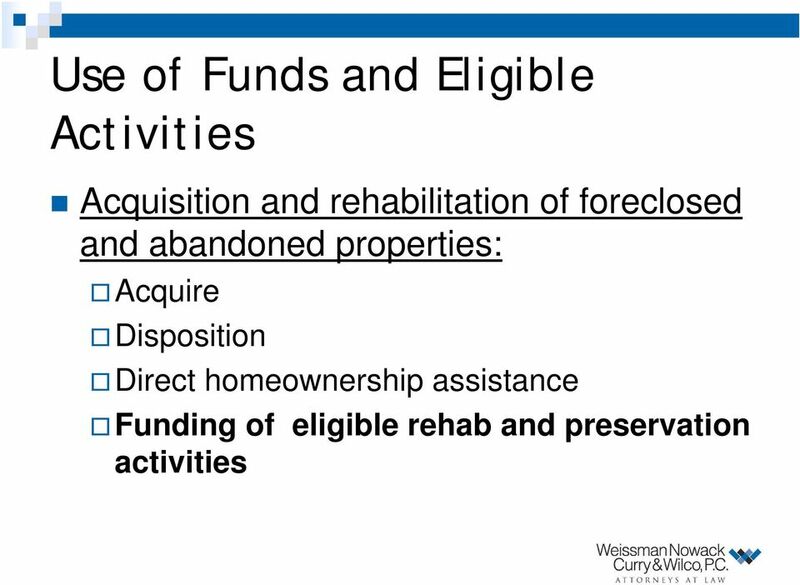 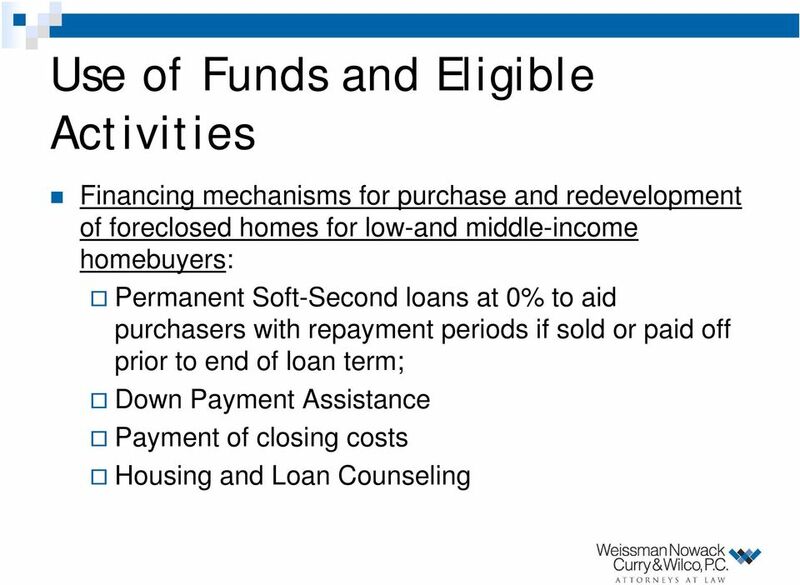 Download "The Neighborhood Stabilization Program"
12 Use of Funds and Eligible Activities Land Bank: Acquisition of properties Maintenance of properties in Land Bank Disposition of properties NSP will cover costs up to 10 years. 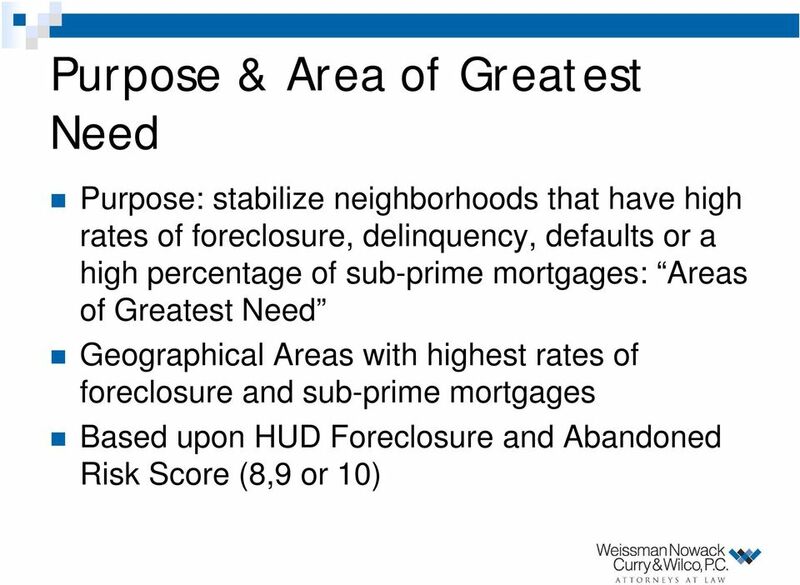 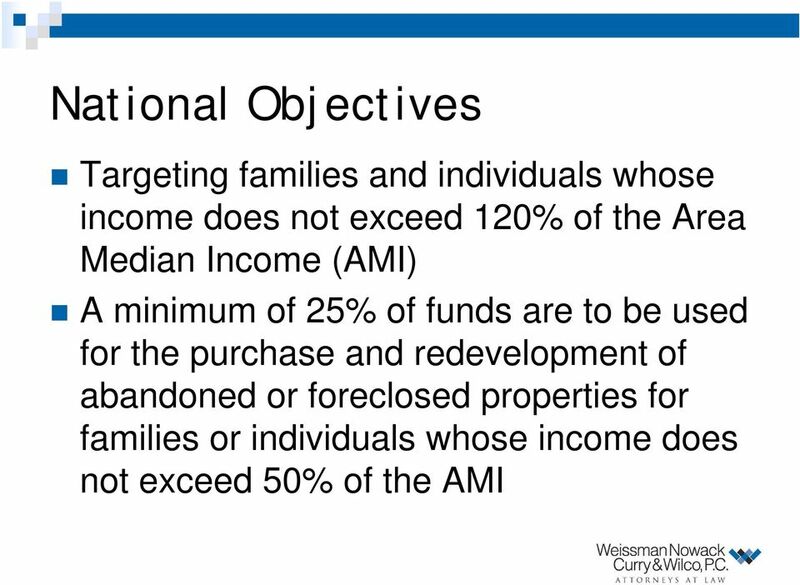 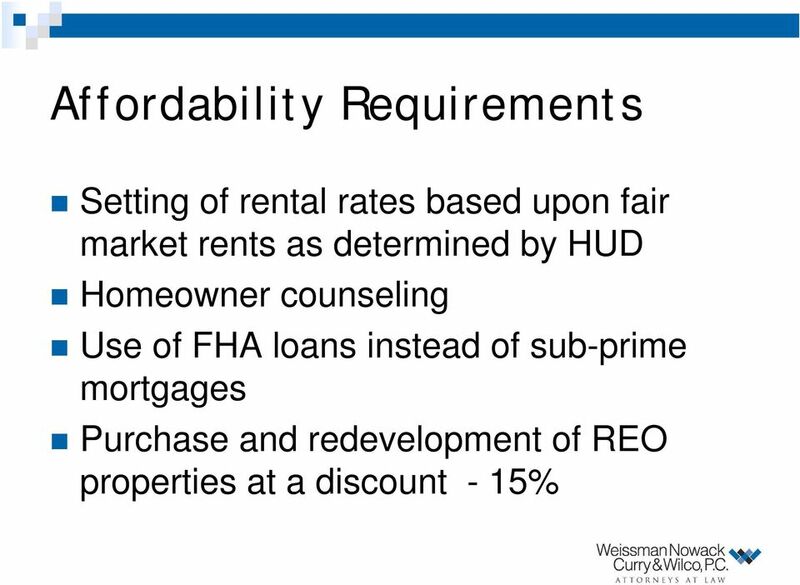 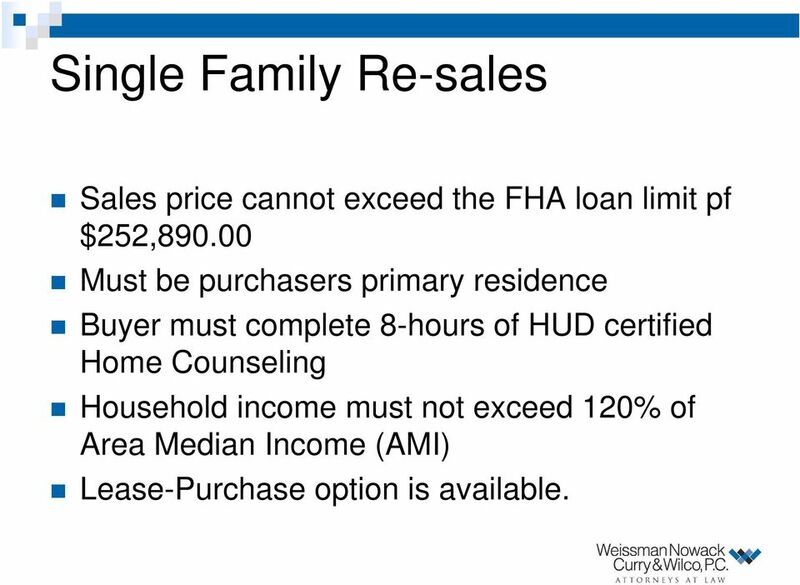 13 Single Family Re-sales Sales price cannot exceed the FHA loan limit pf $252, Must be purchasers primary residence Buyer must complete 8-hours of HUD certified Home Counseling Household income must not exceed 120% of Area Median Income (AMI) Lease-Purchase option is available. 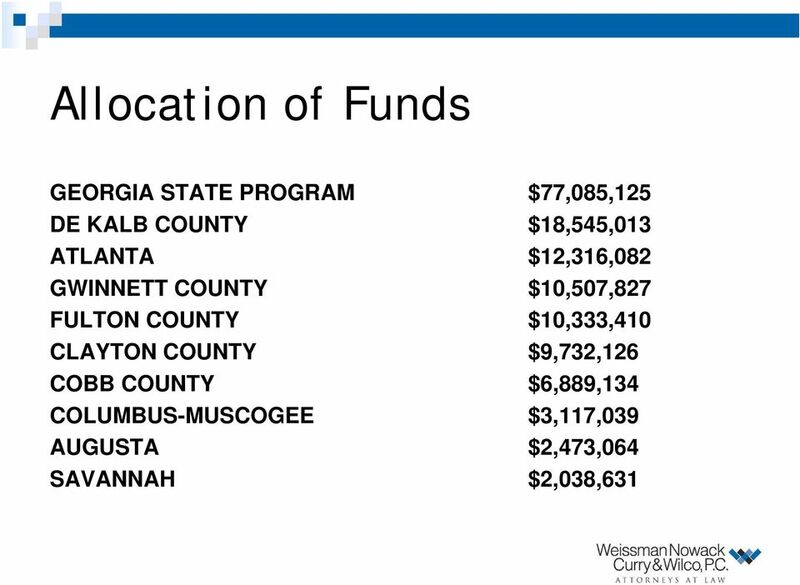 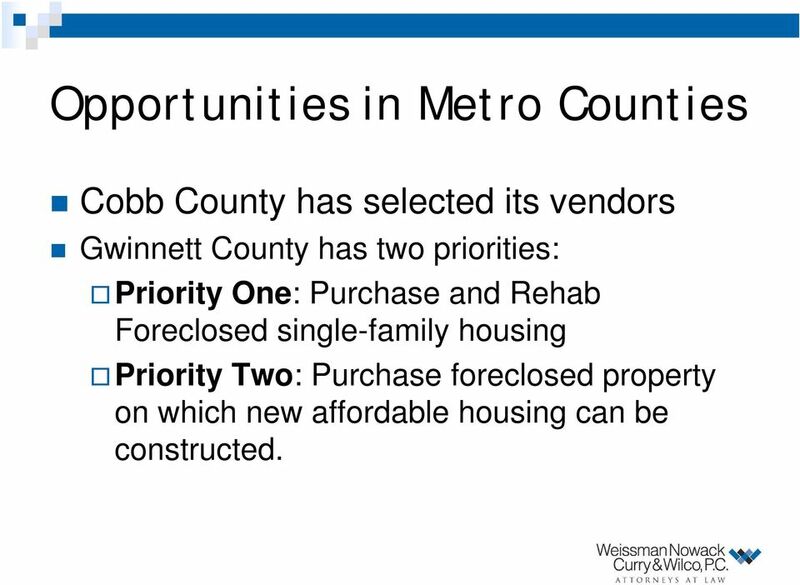 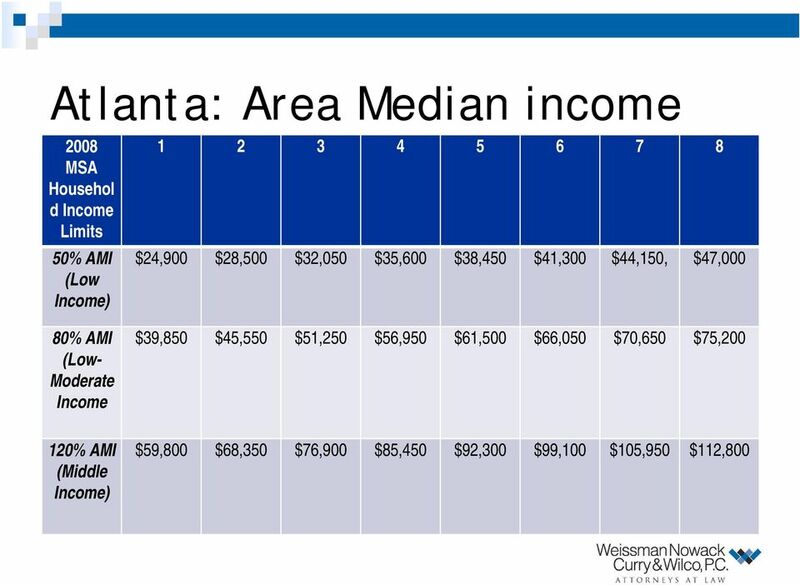 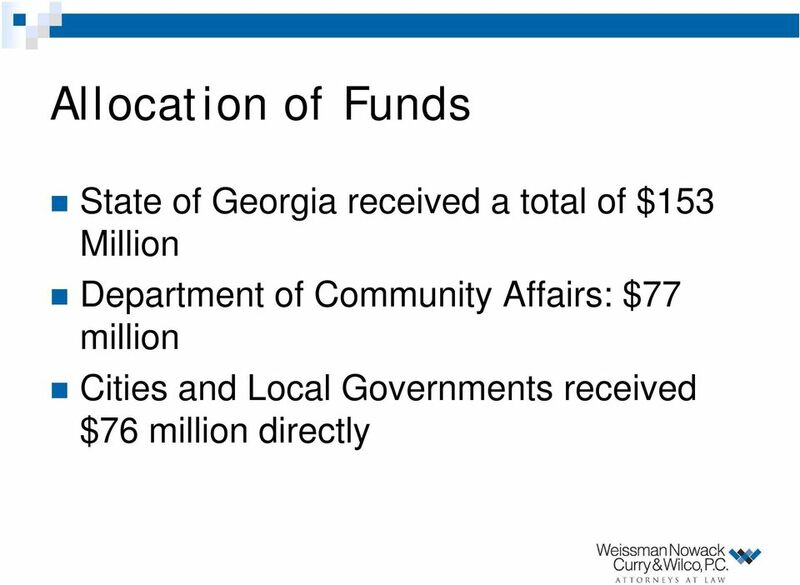 19 Opportunities in Metro Counties Cobb County has selected its vendors Gwinnett County has two priorities: Priority One: Purchase and Rehab Foreclosed single-family housing Priority Two: Purchase foreclosed property on which new affordable housing can be constructed. 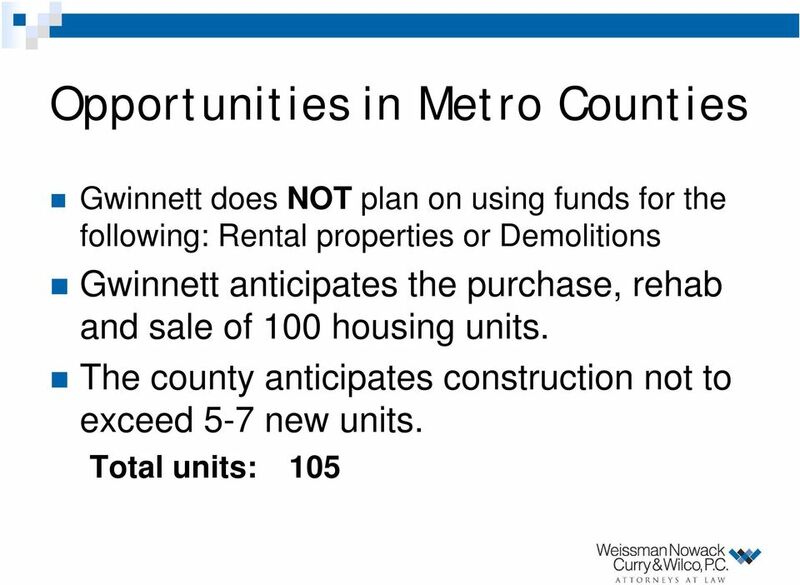 29 Informational Sessions Information Session for Real Estate Professionals for the DeKalb, Fulton and City of Atlanta NSP s will be held Saturday. 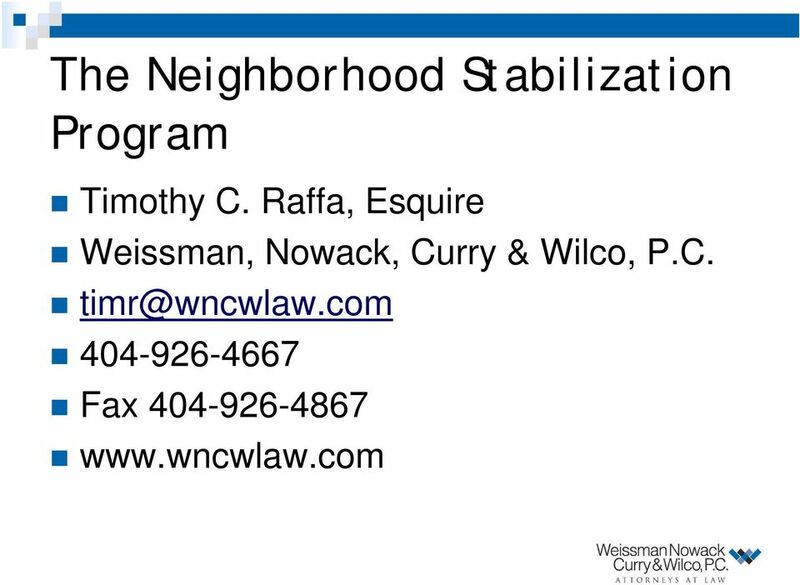 February 14 th, from 10:00 am to 12:00, at the Maloof Auditorium. 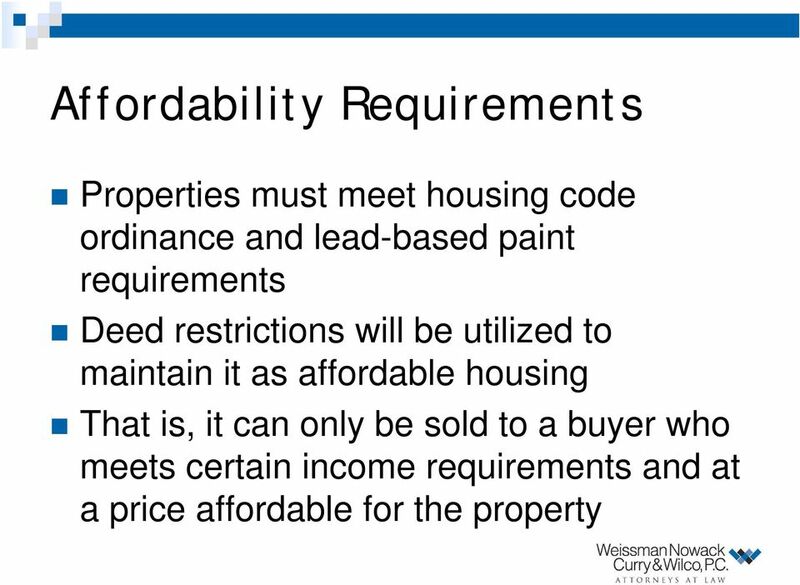 Those interested have been asked to to pre-register.